AmeriCorps, the federally funded program that sends members to work in nonprofit, community service-oriented jobs, is shutting down a training program for healthcare workers over an abortion controversy. In April, an investigation found that six AmeriCorps members offered emotional support to New York women during abortions, which is a violation of federal law. Buzzfeed reports that the federal agency that runs AmeriCorps, the Corporation for National and Community Service (CNCS), is shutting down the healthcare worker program, which has been operational for two decades, over the abortion scandal. In April, the federal Office of the Inspector General reported that six AmeriCorps members provided emotional support and sometimes transportation to women seeking abortions. Federal funding isn’t supposed to go towards abortions except in extremely limited, state-by-state circumstances. “Although the Office of the Inspector General’s (OIG) investigation concluded the misconduct occurred on an extremely limited scope, the grantee broke the law and violated the spirit of national service,” CNCS spokeswoman Samantha Jo Warfield wrote in a statement to The Hill. She did not detail the prohibited behavior. Dave Taylor, chief operating officer of the NACHC, said in a statement to The Hill that the group’s leadership “self-reported the issue to the proper authorities” immediately after learning about the potential violations. 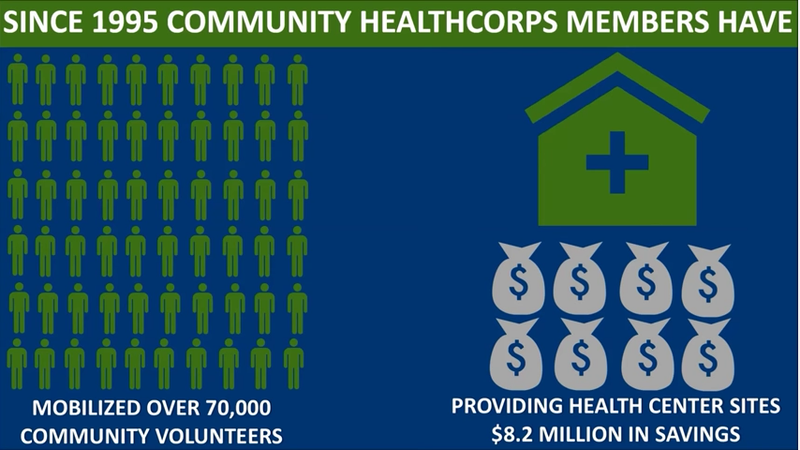 The healthcare program, Community HealthCorps, was AmeriCorps’ longest-running healthcare program. The NACHC got $30 million over the last five years to fund the program. The women obtained abortions at clinics in New York run by the Institute for Family Health, which told NBC it hadn’t violated federal law in any way. Best known for training teacher volunteers in underserved schools, AmeriCorps has also trained more than 7,300 members at health clinics nationwide as part of theCommunity HealthCorps program run by the National Association of Community Health Centers (NACHC) nonprofit based in Bethesda, Maryland. They give HIV tests, educate asthma and diabetes patients, remind the elderly to take medicine, and perform a myriad of other tasks now at more than 200 thinly staffed health clinics in 17 states and Washington D.C. But a moral panic over six people supporting women through an abortion is surely a good reason to scrap the whole thing.